Getting Nowhere Fast is till being repeated annually on Radio 4 Extra and fans of the show are regularly asking Merv to write a new series. So he plans to and will be submitting to Radio 4 this year. The idea is that all the characters are retained but now, as they are mostly over 60, they start to gather in Pamela’s big house on the south coast.......an OAP Commune? Well given the current state of the Welfare State - why not! "This is the comic voice of the Baby Boom." 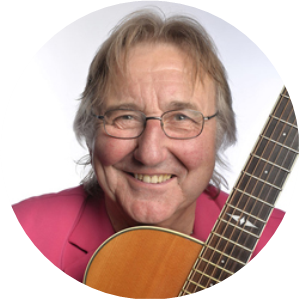 In the 1990's when Radio 2 changed policy and began targeting the Baby Boomers, Mervyn had been writing and performing topical songs every week on Hayes on Sunday for some eighteen months. But as a result, a brand new comedy series was born also targeting this new audience of 40 somethings called LOVE 40 - NEW BALLS PLEASE. It was an immediate success and three series were subsequently commissioned. Broadcast on Radio 4 in May this comedy brought us a group of Left Wing actors from the late Seventies who gather together at the funeral of their Stage Manager and Roadie Dave. This stirs up more than poignant memories, it also leads to some surprising revelations as to who had been sharing bodily fluids with whom in those wilder more carefree days of treading the boards. The Radio Times picked out this play under Radio Choices. Waterloo Sunset was broadcast in May 2005. The plot was created by answering all the implied questions in the famous Ray Davies lyric “Terry meets Julie, Waterloo Station, every Friday night”. Who are they, why these places and times? The play also featured the radical re-workings of Dylan songs by the UK’s leading chanteuse Barb Jungr. Another feature written and presented by Mervyn with tales of excruciating embarrassment from the Tory MP's, stand up comedians, rabbis and vicars and juror caught showing her knickers in court. Broadcast Saturday February 5th 2005. Last year Mervyn researched, wrote, and presented a light hearted programme on the subject of "rejection" - both in professional and personal life. In particular, it is the form of words that we choose to reject someone that is of interest. Every day it seems we hear of some celebrity or other being dumped by text. Or there is the phenomena of speed dating where after three minutes in someone's company you must tick a box indicating yes or no. The audience loved it. In 2002, Mervyn researched, wrote and presented a four part BBC archive series, called What About the Workers, celebrating one of the world’s longest running radio shows, Workers Playtime, which ran for 23 years from 1941 till 1964. Radio 4 repeated this series last March on SUNDAY BEST which celebrated the best shows of 2001. In 2003, Mervyn researched, wrote, and presented a half hour documentary on New Year’s Eve on Radio 4, celebrating alternative uses of the mouth in entertainment called A Hard Day at the Orifice featuring talents as disparate as Ronnie Ronalde, Bobby McFerrin, Percy Edwards and Huun Huur Tur, the throat singers from Tuva. Many people emailed Mervyn suggesting other great "mouth" acts and if there are enough extant recordings available then he will submit a proposal for "Another Hard Day At The Orifice". If you have any suggestions - then please email.